The situation remains tense in and around Aleppo City. After the liberation of the Mallah Farms, the Syrian Army troops are now deployed in only 1,5 km from the militants’ last supply line to Aleppo City – the Castello road. 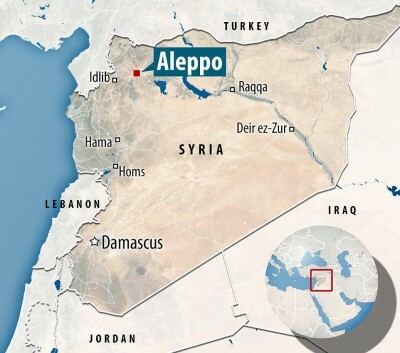 This poses a significant threat to Al Nusra and its allies in Aleppo. If pro-government forces are able to cut off the Castello road, the militants will be besieged in the northeastern part of the city without any supplies. Nonetheless, the recent attempts of pro-government forces, supported by Russian fighter jets, to develop momentum have not lead to any gains yet. In turn, militants are consolidating efforts for a large counter-offensive in to recapture the strategic area and defend the strategic supply line. In East Ghouta, the SAA has secured Beit Naem, Mohammadiya, Jasreen and nearby areas. Last week, pro-government forces managed to liberate Al-Bahariyah, Tal-Bahariyah and Borja-al-Bahariyah. Clashes were observed at Mayda’a. The Syrian Democratic Forces, supported by US-led coalition warplanes, are advancing in the northern and southwestern suburbs of Syria’s Manbiij amid heavy clashes with ISIS militants. SDF units have seized the Hawatima neighborhood in the western part of the city and engaged in clashes in the Hazawani neigborhood. Separately, SDF units seized the Madfaa traffic circle near western gates of the city. The coalition’s warplanes have been conducting air strikes near and in the city. Some 6 ISIS tactical units and 3 fighting positions were reportedly hit by them. The ISIS terrorist group has launched an advance towards the Kurdish-controlled town of Ayn Issa in the Raqqa province, capturing Al Habsawi, Mughar and As Suwaidan. Heavy clashes are ongoing there.